DAVID LE/Staff photo. 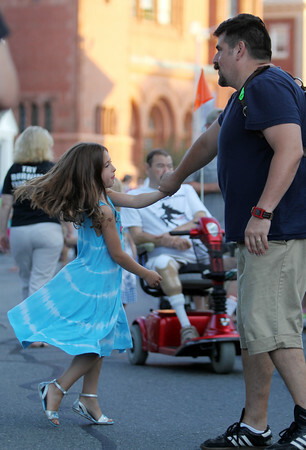 Six-year-old Enorah Martinez, of Beverly, dances with her father Diego, at the annual Beverly Block Party on Saturday evening. 9/19/15.